The vastly popular online sportsbook is gearing up for a busy year on the gridiron. SAN JOSE, Costa Rica, August 16, 2018 – According to sports wagering industry research, many new accounts come into play during the time directly leading up to the pro and college football season. According to Pay Per Head software maker IDSCA, August is by far the most popular month for new bookies, according to the company's membership numbers. Industry experts say this can be easily attributable to the onset of American football season. Before the season starts, many players engage in futures betting — picking teams to win their respective leagues, divisions or championships. This year, IDSCA's enhanced online bookie software and betting platform were extra-equipped to handle much of the early 2018 football action. It was previously reported by the company that there will be expanded betting action in 2018 for the pro football preseason. Much of the wagering action has started this August with a massive influx of prop bets and straight up bets in the first two weeks of the preseason. For futures, New England are still darlings on that board at 7 to 1 odds to win the championship and are 1 to 6 odds for repeating as AFC Champions for the 10th straight year. The latter odds would require a $600 wager to win $100. Other big favorites on the futures board are Minnesota and Philadelphia, each of which had deep playoff runs the previous year. Similar to the pros, the usual suspects from last year's playoffs are big favorites in college football futures. Defending champions Alabama are the big favorites currently at 19 to 10 odds, followed directly by their playoff counterparts from last season, Clemson Georgia and Ohio State. 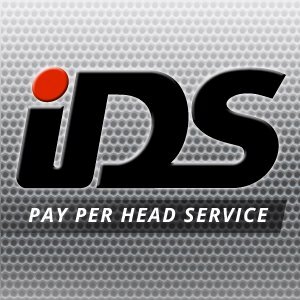 Using the pay per head sportsbook Model as a Primary Business Solution, bookies pay for the vast resources IDSCA makes available to them according to how many players they manage. This enables full tracking of player performances, live lines and accurate bookkeeping. By charging a low flat rate for each player they have under their umbrella, this allows for more time for pay per head bookies to concentrate on other tasks that were once commonly tedious in the bookmaking profession. For more information on the software, its features or to make a media inquiry, please call (213) 332-9255.